How to Close MORE Business in LESS Time! 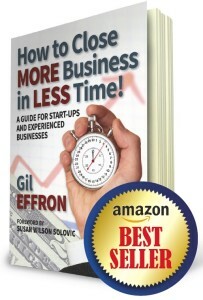 Is Now an AMAZON BESTSELLER! An authoritative, easy-to-read guide for start-ups and experienced businesses of all sizes. Based on a proven methodology and loaded with real-world examples and case studies, the promise contained in the title comes to life as you learn how to close more business more efficiently and in less time. Discover how marketing can support your sales process throughout the entire sales process — including maximizing lifetime relationships from existing customers. Every engine — from a lawn mower to a jet engine — has one thing in common. No matter how small or how large and powerful those engines, they all require fuel. The fuel may vary from regular gasoline to special blends of aviation fuel, but the purpose of that fuel is always the same: to make the engine run at peak performance. All businesses — from start-ups getting underway to well-established, multi-national corporations — share a common fuel, too. That fuel is sales. In the same way the engine stops when the fuel dries up, a business stops when a necessary level of sales disappears. There’s one more common bond all businesses share. It is always in the best interest of the business to close business more efficiently and, given a choice, to do so in less time rather than more time. 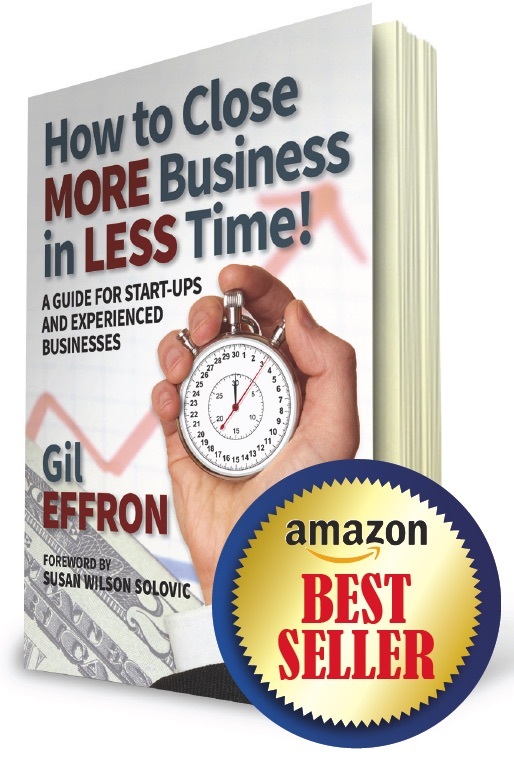 That’s the primary mission of my new book: To help you close more business in less time! The information and ideas I share work as effectively for start-ups as they do for small, medium, and large businesses that have years of experience under their belts. For those beginning to think about starting a business, the information in this book will help ensure when your business launches, you’ll have a significant and strategic advantage over any business whose founder or leadership team has not worked with the information in this book. At the same time, you’ll be increasing the likelihood that you will not only survive, but also thrive for many years to come. Write and submit a review on Amazon.com. Here’s How.